Where do team building groups, stag night party-goers and Uni friends get a chance to meet? In an Escape Room. These rooms where you have to escape in 60 minutes are growing in popularity. But Escape Room managers encounter specific issues. French startup 4Escape takes them on. When Escape Rooms started to pop up all over the planet, owners were lacking the right tools to administer the rooms. Most would turn to regular booking solutions like Bookeo (commonly used for hotel reservations). However, the needs are different from a hotel. The gamers may have to pay separately, some online, some in-house. Pictures are taken at the end of a game leading to a rather high volume of pictures to deal with at the end of the week. Owners need to prepare quotes for companies wishing to send teams and hand out invoices. All these tasks required different tools and software. The team from 4Escape thrives to put them all in the same package. The team, led by Mathieu Mante, was first contacted back in 2017 by a French Escape Game chain. As developers, they were asked to make a platform that regrouped the items mentioned above into a neat platform. Once the platform was up and running, it was obvious it would be useful to any Escape Room. 4Escape was born. The Saas was made available to all last January and is already used by over 50 Escape Rooms. The development of the current platform is far from over. 4Escape maintains healthy relationships with all their clients in a spirit of community. This way, they gather valuable feedback on the product and requests for new features. Escape Rooms equipped with the platform become ambassadors for the company and promote the service. A full toolbox means not having to buy different software and not wasting time. There is little competition from similar platforms dedicated to Escape Rooms (only one located in Germany). The choice of a service means turning to either 4Escape or to a hotel reservation platform. The later lacking support for temporary rooms or events, branding, or pictures, only to name a few. Upcoming features include a portal for clients where they can manage their reservation, print an invoice. The most requested features are the schedule for Game Masters and cashier tools. As France imposes anti-fraud laws and conforms to the GDPR, so does the platform. It will also conform to legislation in various countries to allow for an international deployment. Most Escape Rooms being confronted with similar issues, expanding to other countries is the obvious next step. The team of five is considering recruiting more helping hands as they look to expand in Europe. Community, dialogue, a dedicated product make for a powerful combination. 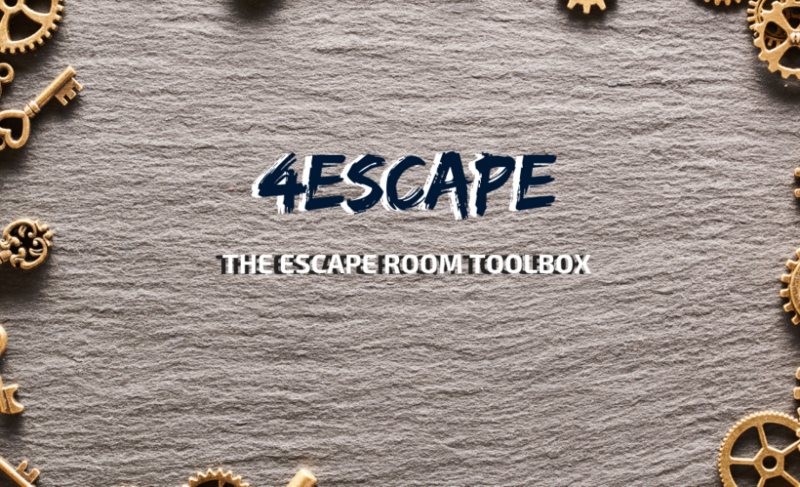 No doubt, this niche product will find more subscribers as it grows to cover all aspects of Escape Room Management within one single platform.